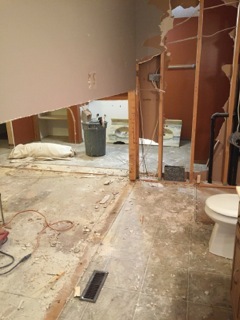 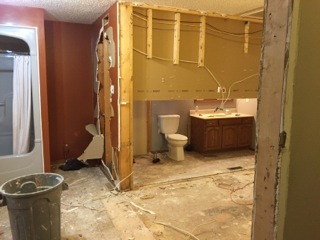 In this project, we gutted a large 2nd floor washroom complete with a hottub. 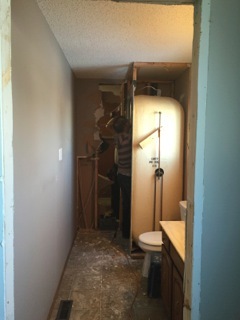 There was also a very small ensuite, and a tiny master closet. 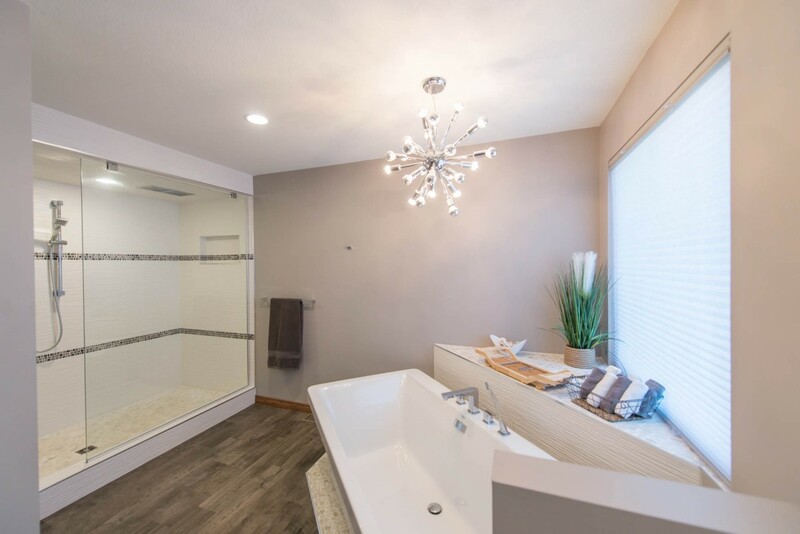 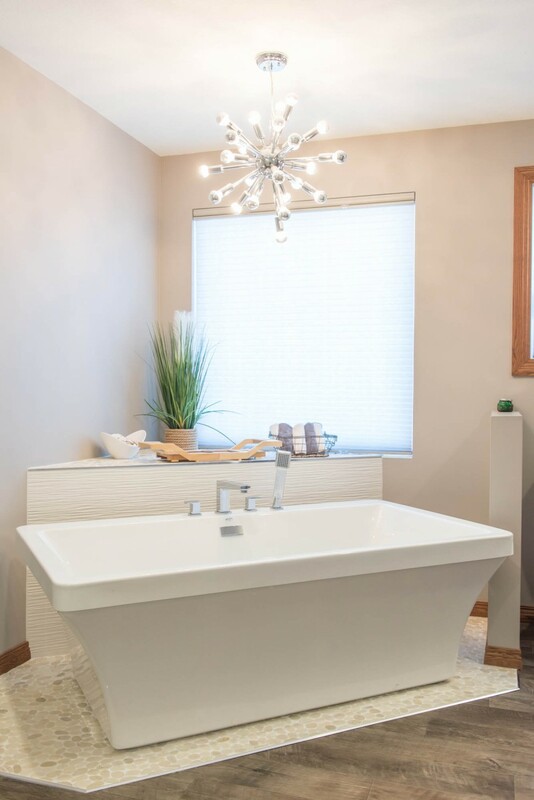 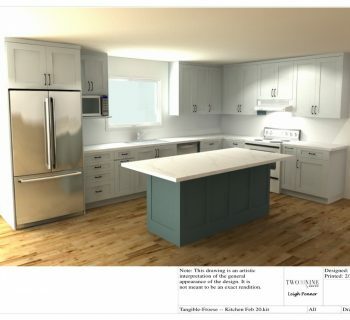 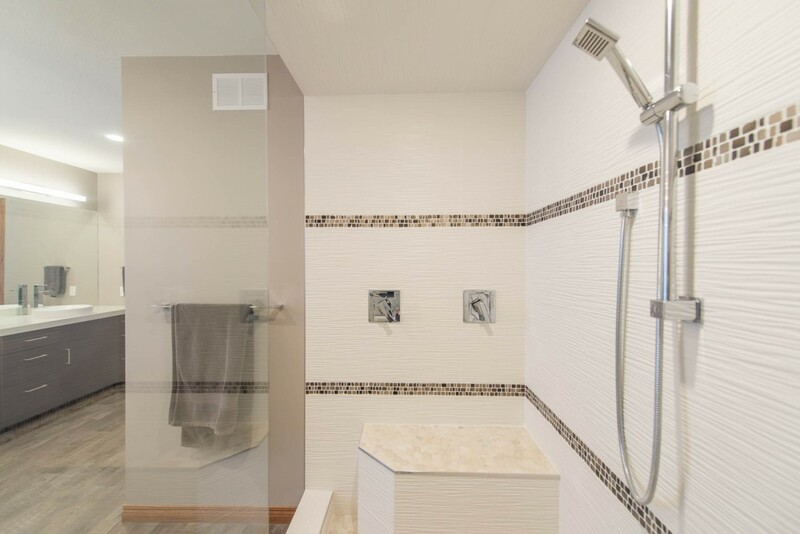 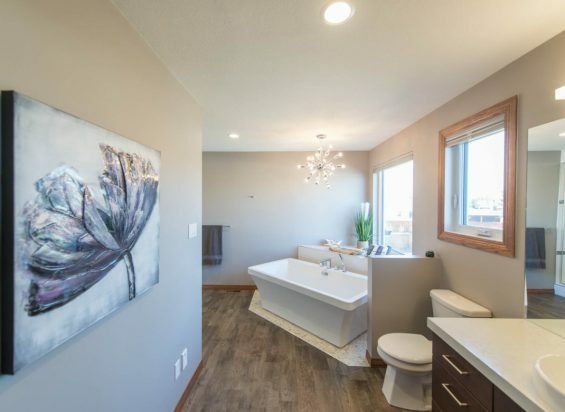 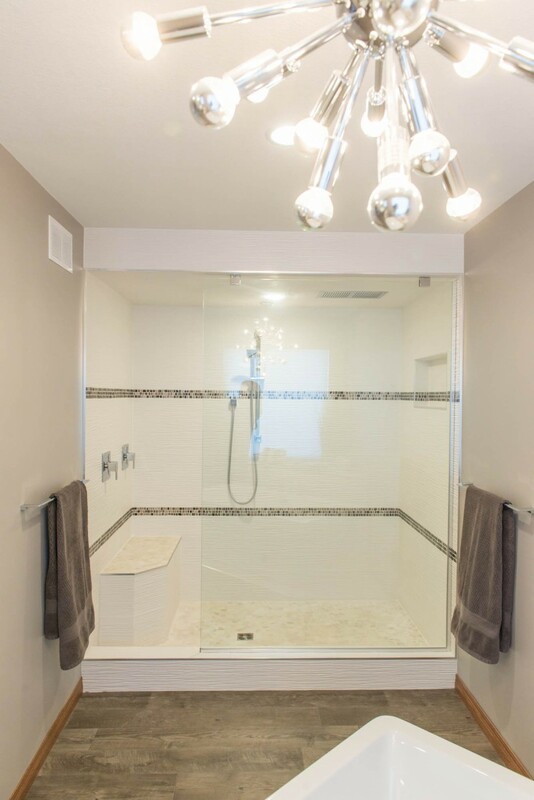 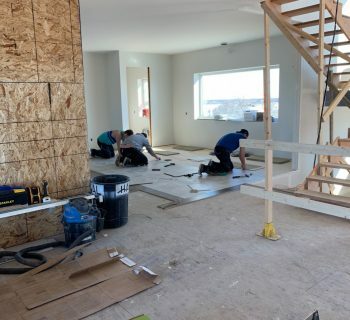 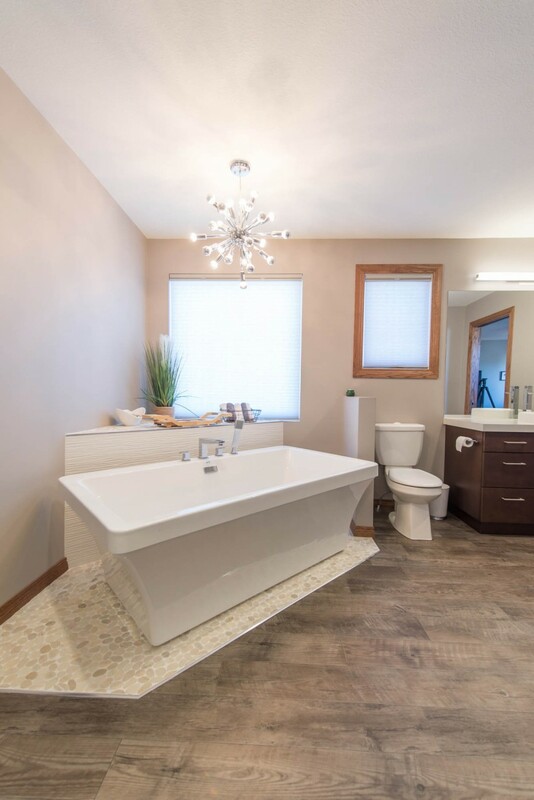 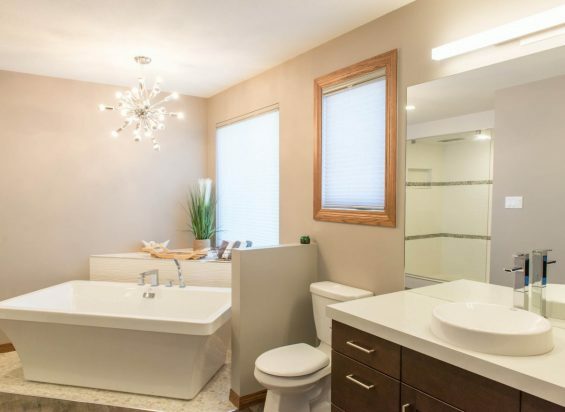 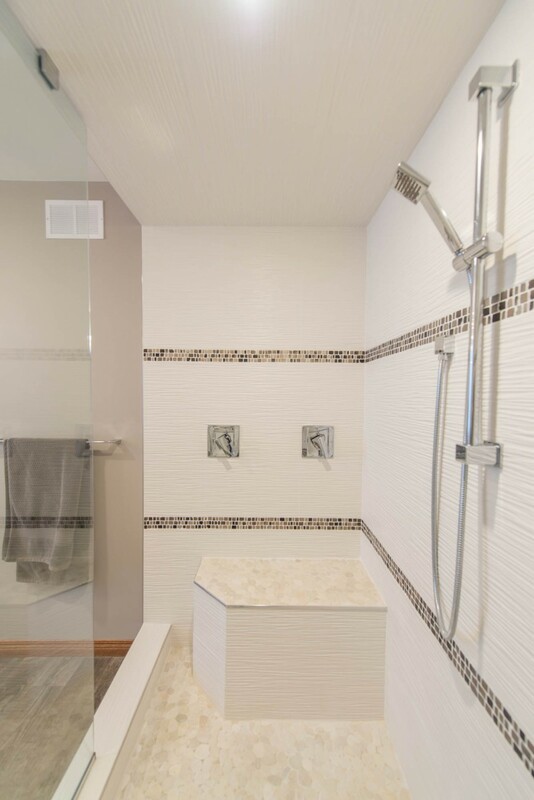 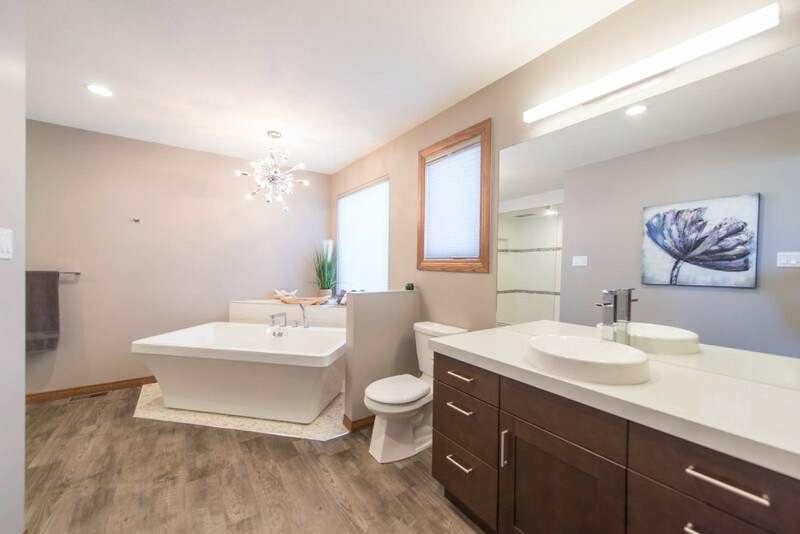 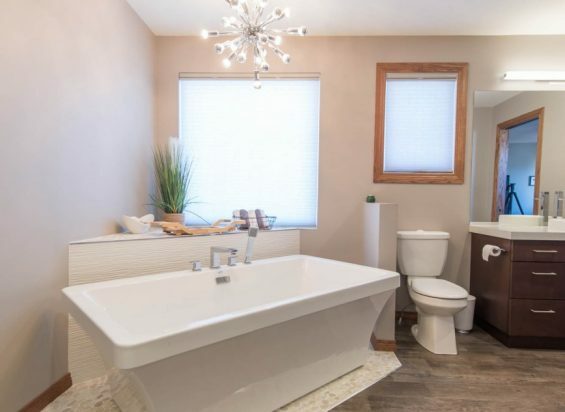 With our new design, this family now has a comfortable main 4 piece bath, plus a large L-shaped Ensuite, and custom built cabinets in their new, master walk in closet! 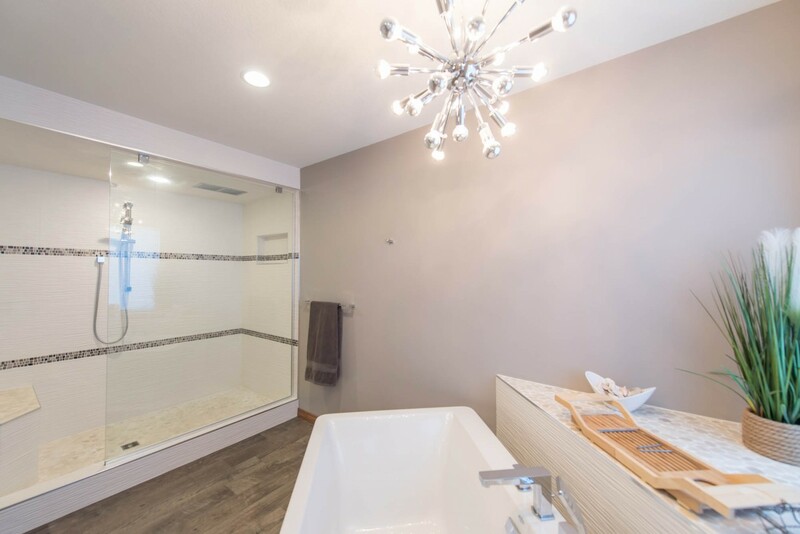 We added a large window by the soaker tub, overlooking the beautiful backyard space, and updated flooring, cabinetry & pocket doors.